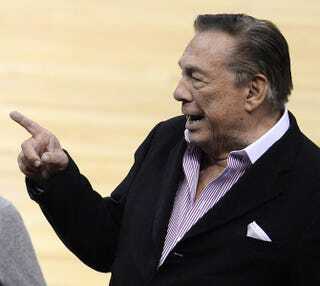 A judge will determine the fate of the Los Angeles Clippers on Monday and is expected to rule on a family-trust provision that would give Shelly Sterling, Donald Sterling’s estranged wife, the right to sell the NBA team without her husband’s consent, Fox News reports. According to CNN, the terms of the trust regarding the team, co-owned by the couple, states that if one of the trustees is ruled mentally unfit, the remaining individual would be considered the sole trustee. Shelly Sterling has used this provision to her benefit, given that two doctors reported in May that her husband was mentally incapacitated and unable to perform the necessary functions as an owner of the Clippers and manager of the Sterling Family Trust, Fox notes. However, as the case prepares to go before the judge, a new doctor, Dr. Jeffrey Cummings of the Cleveland Clinic, said that Donald Sterling was indeed mentally fit after an hourlong examination in Las Vegas over the weekend that was commissioned by Sterling’s attorneys, CNN reports. Cummings, a neurologist who is considered one of the leading dementia and Alzheimer’s specialists, said that the 80-year-old showed no signs of dementia or mental incompetence. Whether this new diagnosis will have an effect on Shelly Sterling’s plans to sell the Clippers to former Microsoft CEO Steve Ballmer for $2 billion (plus a lot of other perks) is yet to be determined. Read more at Fox and CNN.